I missed the deadline for filing a workers’ compensation claim. Can I just file a personal injury lawsuit instead? If you’ve been injured in a work-related accident, you might be wondering if it would be easier simply to file a personal injury lawsuit to cover your expenses. Unfortunately, workers’ compensation is a program that’s entirely separate from personal injury law. You can normally only receive benefits from one type of claim at a time. The biggest difference between workers’ compensation claims and personal injury suits is the standard of fault applied. In a personal injury case, you must establish that another party is responsible for your injuries. For example, if you were in a car accident, you’d need to prove that the other driver was speeding, tailgating, or otherwise driving in an unsafe manner that caused you to be injured. In a workers’ compensation case, there is no requirement to prove fault. You can receive benefits even if your own inexperience or inattention caused your injuries. As long as you weren’t engaged in horseplay or under the influence of drugs or alcohol at the time, the only requirement is that you must have been injured while on the job. Another important difference between workers’ compensation and personal injury claims involves the type of damages you’re able to receive. A personal injury claim can include damages for medical expenses, lost wages, and pain and suffering. Since pain and suffering is often calculated as a multiplier of verifiable medical expenses, compensation can be substantial in cases involving serious injury. A workers’ compensation case allows you to receive medical treatment from an approved provider, weekly income benefits, and compensation for permanent injury. You are not compensated for your pain and suffering, even if your injuries result in a lifelong disability. In most cases, workers’ compensation claims will be settled in a more timely fashion than a personal injury suit. Workers with a cooperative employer and fairly straightforward cases often begin receiving benefits within days. In comparison, even a relatively simple personal injury case requires the assistance of an attorney for ensuring a fair settlement. Since workers’ compensation cases don’t require you to establish negligence, it’s generally easier to win a workers’ compensation case at trial. However, in both workers’ compensation and personal injury claims, it’s advantageous for most cases to be settled out of court. Unfortunately, there is normally no option to pick which type of legal action you wish to pursue. If you were hurt on the job, workers’ compensation is your exclusive remedy. You can’t opt to forgo workers’ comp benefits and initiate a personal injury suit against your employer or any coworkers who played a role in the accident that caused your injuries. If you have been injured in a work-related car accident caused by a driver who does not work for your employer, you can seek both workers’ compensation and personal injury benefits. However, your employer will have a lien for benefits paid out on your workers' compensation claim on any personal injury settlement you receive. When your injuries are due to a defect in equipment used at your place of employment, you may be able to sue the manufacturer for damages. However, just as with a work-related motor vehicle accident, your employer will have a lien on any personal injury settlement you receive. If you’re having trouble accessing your workers’ compensation benefits, seeking legal representation ensures that your case proceeds in a timely fashion. Rechtman & Spevak’s attorneys are dedicated to helping injured Georgia workers receive the compensation they need to move forward with their lives. Call today to schedule a free, no-obligation initial case review. When does workers’ compensation cover injuries that do not occur at a job site? To be eligible for workers’ compensation benefits, you must sustain an injury that occurs during the course of work-related activities. This rule may seem fairly straightforward, but there are some gray areas that can occur when injuries happen while you’re away from your normal job site. Injuries occurring during travel to work-related meetings, conferences, or other business trips would be covered under Georgia’s workers’ compensation law including work related car accidents. If you’re traveling to a location for several days, you’re considered to be acting in the scope of your employment for the entire duration of your trip. For example, a doctor who works for Emory Healthcare may need to travel to San Francisco to attend a medical conference. If the conference lasts for one week from 9 am to 5 pm each day, injuries occurring in the early morning or evening hours would still be covered. Since he’s attending the conference as a condition of his employment with Emory Healthcare and is unable to return home each night, workers’ compensation law covers his activities for the entire duration of the trip. Injuries that occur during required training for your current position or a promotion are covered under workers’ compensation law, regardless of whether they occur at your regular job site or at a secondary location. Training is considered a work-related activity. Company-sponsored events such as picnics, retirement parties, or holiday celebrations generally fall under workers’ compensation law. Even though their purpose is primarily social and occur away from your regular job site, they are considered work-related because they are sponsored by your employer. If your injury occurred during your commute to or from work, it’s probably not covered by Georgia workers’ compensation law unless you were driving a company-provided car at the time. The primary exception to this rule is workers who have no fixed office location. Most workers report to a specific job site each day, but people in certain occupations may travel regularly between locations and thus have no fixed office space. For example, a salesperson may work out of his car while traveling to meet clients, and a custodian working as a contractor for a cleaning service may visit multiple commercial buildings and work a few hours at each site. In cases like this, injuries occurring at each location of business or while traveling to the assigned location are considered eligible for workers’ compensation benefits. Traveling off company property for your lunch break will typically result in your injuries being denied for workers’ compensation benefits. However, you might be covered if you were picking up lunch for your boss or meeting with clients while you were eating. If you work in a field that requires you to be on call for your employer, injuries occurring during this time period may be covered even if you’re not actively performing work for your employer at the time. Coverage will depend on your employer’s specific on-call policies. If you believe your injury qualifies you to receive workers’ compensation benefits, you must provide a notice of injury to your employer within 30 days. If you do not notify your employer within this time frame, your claim may be denied even if your injury would otherwise have been compensated. Medical treatment from a provider on your employer’s panel of physicians. Income replacement benefits in the form of Temporary Total Disability (TTD) or Temporary Partial Disability (TPD) payments. Permanent Partial Disability (PPD) payments for injuries resulting in permanent loss of function to a body part or the body as a whole. If you’re having difficulty obtaining benefits on your workers' compensation claim, seeking legal representation can ensure that your case proceeds in a timely fashion. Rechtman & Spevak’s attorneys have extensive experience helping injured Georgia workers receive the compensation they need to move forward with their lives. Call today to schedule a free, no-obligation initial consultation. 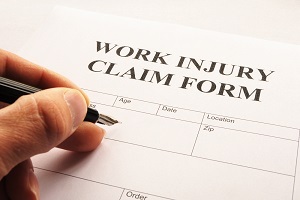 Will workers’ compensation affect my eligibility for other types of benefits? Injured workers receiving workers’ compensation benefits in Georgia may qualify for other benefits, including Social Security disability, unemployment compensation, and short term or long term disability. To protect your financial future, it’s important to thoroughly investigate your eligibility for each program. Workers’ compensation is a state-run program, while Social Security is a federal program. You can collect from both programs if you’re eligible, but it’s important to keep in mind that each program has a slightly different definition of what it means to be disabled. Qualifying as disabled under workers’ compensation doesn’t necessarily mean you’d be eligible for Social Security disability. If you’re eligible, Social Security Disability Insurance (SSDI) benefits will not affect the amount of your weekly workers’ comp disability check. However, workers’ comp benefits may offset Social Security benefits, and this may affect you if your income is below a certain level. According to the Social Security Administration, someone who is receiving both workers’ compensation and Social Security disability benefits is subject to a benefit cap. You are able to collect from both programs, as long as the total amount of these benefits doesn’t exceed 80% of your average earnings before you became disabled. If the total amount from both programs exceeds 80% of your previous earnings, the excess will be deducted from your Social Security benefits. This reduction continues until you reach age 65 or you’re no longer receiving workers’ compensation benefits. When you are no longer receiving workers’ compensation benefits, you can simply call the Social Security Administration office to report the change and your SSDI payment will be adjusted accordingly. If you aren’t currently receiving SSDI benefits but wish to apply, your workers’ compensation benefits will have no bearing on whether or not your application is accepted. Most injured workers will not be able to collect both workers’ compensation benefits and unemployment benefits. A requirement of receiving unemployment benefits is that you’re ready, willing, and able to work. If you’re disabled from working due to an employment-related injury, this means you wouldn’t qualify. One case in which workers might be able to collect both types of benefits is if the injured worker is able to do light-duty work, but no such work has been offered by his employer and he is unable to find suitable light duty work on his own. In this circumstance, you could apply for unemployment benefits as a temporary measure. You would need to clearly state on your application that you’re willing to perform light-duty work within the restrictions your care provider has set for you. You can receive unemployment benefits for 14 to 20 weeks, depending upon the seasonally adjusted unemployment rate at the time you file your claim. If you receive unemployment benefits during a period for which you are seeking workers' compensation income benefits, the employer/insurer can receive a credit for each dollar of unemployment compensation paid against the workers’ comp benefits it is required to pay. Many Georgia employers offer short-term disability (STD) and long-term disability (LTD) coverage as part of their benefits package. If you sustain a work-related injury that results in a qualifying disability, you may be able to collect benefits from both workers’ compensation and STD or LTD coverage. However, Georgia law allows an employer/insurer to receive a credit for any benefits an injured worker is paid from a STD or LTD policy in direct proportion to the amount of the premium paid by the employer. Retaining the services of a workers’ compensation attorney can help you figure out how to maximize your available benefits. Your attorney can advocate for your needs throughout the claim process and answer questions you might have about your eligibility. The experienced attorneys at Rechtman & Spevak are committed to helping Georgia residents receive the workers’ compensation benefits they need to recover from their injuries. Contact us today to schedule a free, no-obligation initial consultation. When you are injured in a workplace accident, your employer is required to provide you with the necessary medical care. Unfortunately, workers’ compensation claims have certain limitations—including restrictions on which doctor you can see for your treatment. An employee with serious or life threatening injuries requiring immediate medical care may seek out treatment at the nearest emergency room. Workers’ compensation insurance is required to pay for the cost of any emergency care related to an on-the-job injury, including diagnostic testing and emergency surgical procedures. Once your condition has been stabilized or if your injuries did not require emergency medical care, your employer is supposed to provide you with a list of physicians. The list is called a panel of physicians and should include six or more doctors, with at least one orthopedic surgeon and at least one minority doctor and no more than two industrial clinics. In most cases, all providers should be within 50 miles of the job site. The doctor that you choose from this panel is called an “authorized treating physician” (ATP). This doctor may provide you with medical treatment for up to 400 weeks following your accident (unless your claim is deemed catastrophic, in which case you will be entitled to medical benefits for the rest of your life). If your condition isn’t one that can be treated by your ATP, he or she may refer to you a specialist for further evaluation and treatment. You will not need to pay any of the cost of your medical care, including any medications prescribed by your treating physicians, since all treatment from an ATP or referred specialist is fully covered under your workers’ compensation benefits. In addition, you are also entitled to be reimbursed for your mileage and other travel expenses. If you are dissatisfied with the treatment you are receiving from your ATP, you are allowed to make a one-time change to another doctor on the panel of physicians without receiving prior approval. In certain situations, you are allowed to seek an opinion from a physician of your choosing as an independent medical examination (IME). You may think it would be better to use your own health insurance or pay out-of-pocket, and just have your regular family doctor handle your medical care. Unfortunately, choosing to do this could jeopardize your case. If you do not treat with a panel physician, your employer and its workers' compensation insurer do not have to follow the recommendations of the unauthorized physician, and most likely will refuse to pay you income benefits based on any disability documentation that you obtain from your family doctor. If your claim is denied in whole or in part, or if your employer does not have a properly posted panel of physicians, you are technically able to choose your own doctor. However, this issue should be discussed in greater detail with your attorney. Georgia laws regarding workers’ compensation benefits can be quite complex. To protect yourself, you should strongly consider hiring an experienced attorney who can advocate for your right to benefits. Rechtman & Spevak is dedicated to helping workers who’ve been hurt on the job receive the benefits they need to move forward with their lives. We’ve assisted employees of Home Depot, United Parcel Service, FedEx, Delta Airlines, Emory University/Emory Healthcare, Kroger, Publix, Northside Hospital, Piedmont Healthcare, Walmart, Lowes, Waffle House, Chick-fil-A, Randstad, and many other local businesses in resolving their workers’ compensation claims. Call today to schedule a free, no-obligation consultation.